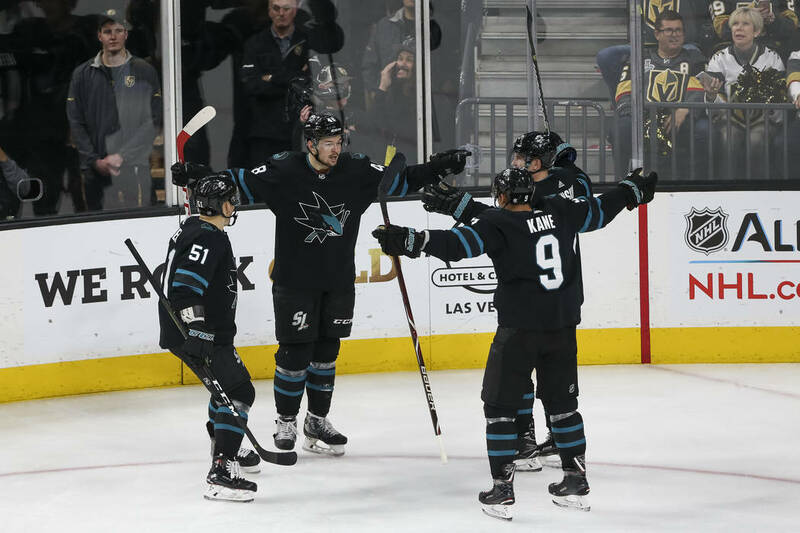 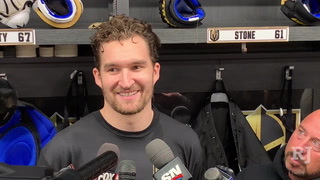 Melker Karlsson and Joonas Donskoi scored 39 seconds apart in the third period to lift the San Jose Sharks to a 3-2 win over the Golden Knights at T-Mobile Arena on Thursday night. 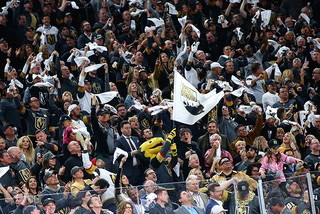 For many Golden Knights fans, the Los Angeles Kings represent their fiercest rival, thanks to geography and a certain Drew Doughty quote. 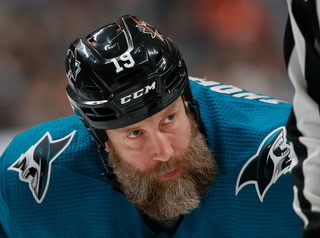 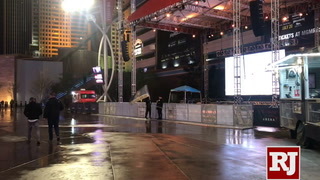 Ask the players, though, and they’ll say San Jose is their chief adversary. 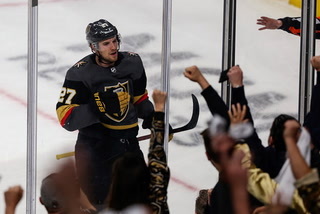 The Knights eliminated the Sharks from a closely contested second-round playoff series in six games. 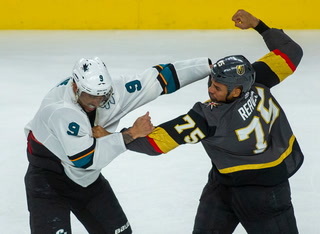 When the teams met for the first time this season on Nov. 24, San Jose coach Peter DeBoer and forward Evander Kane were ejected for abusive language to officials. 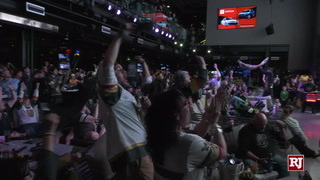 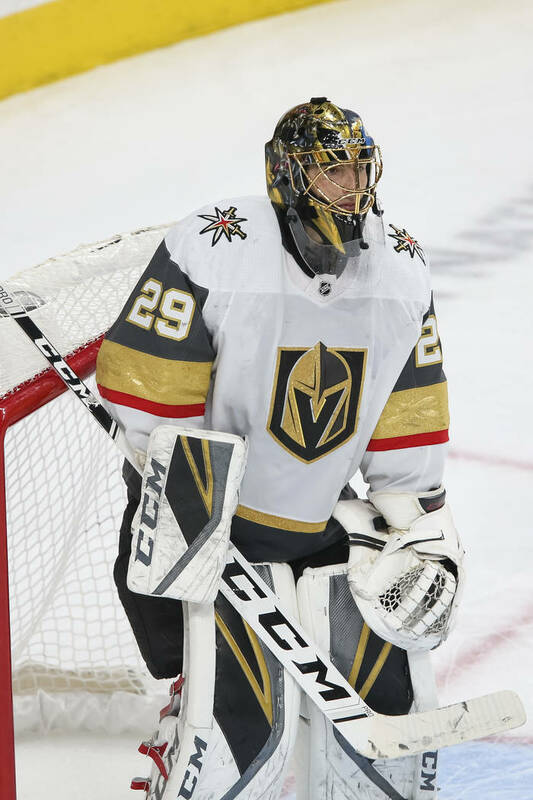 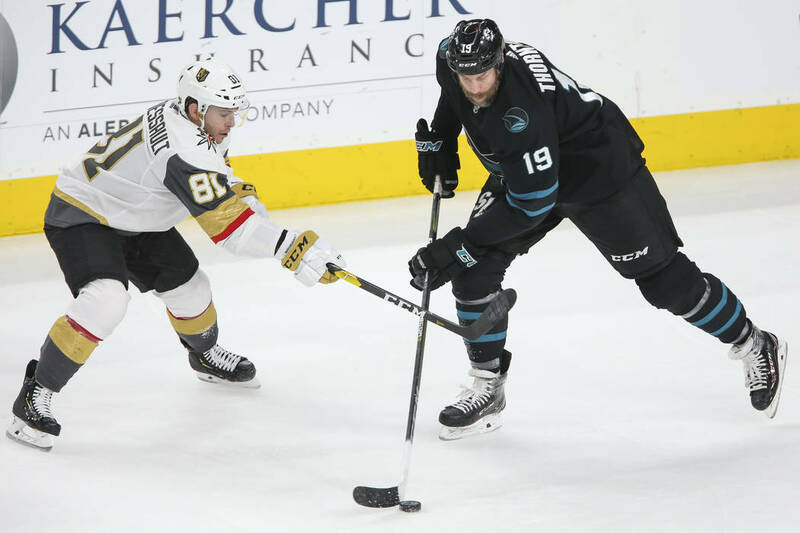 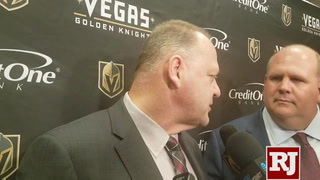 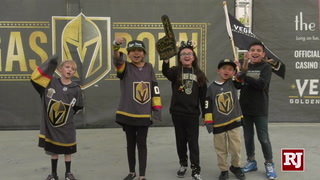 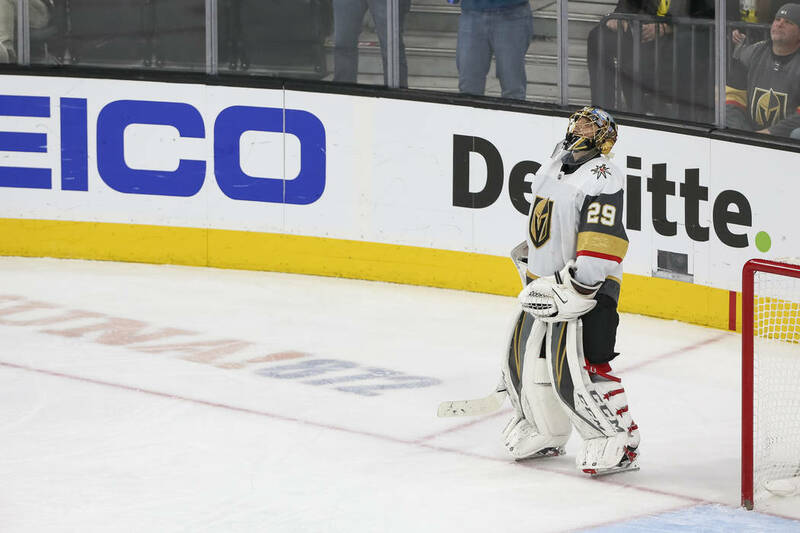 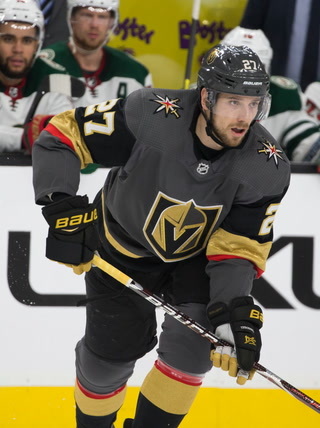 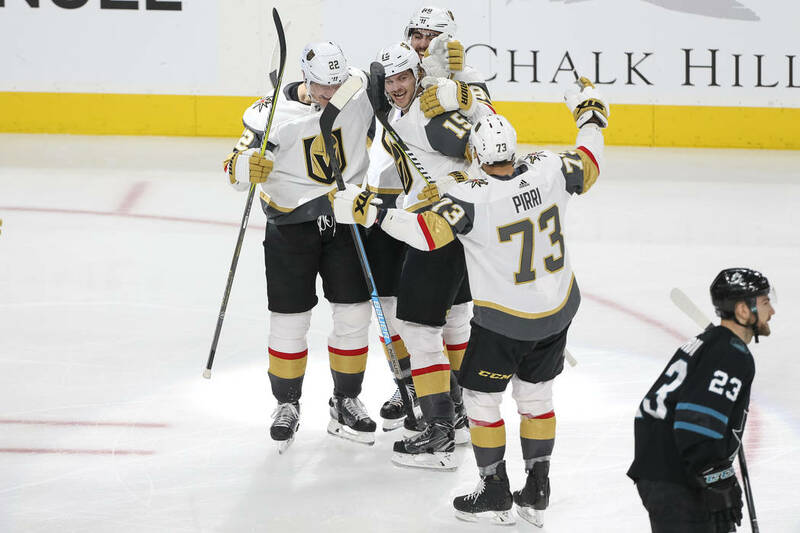 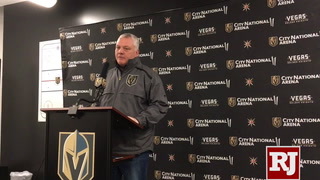 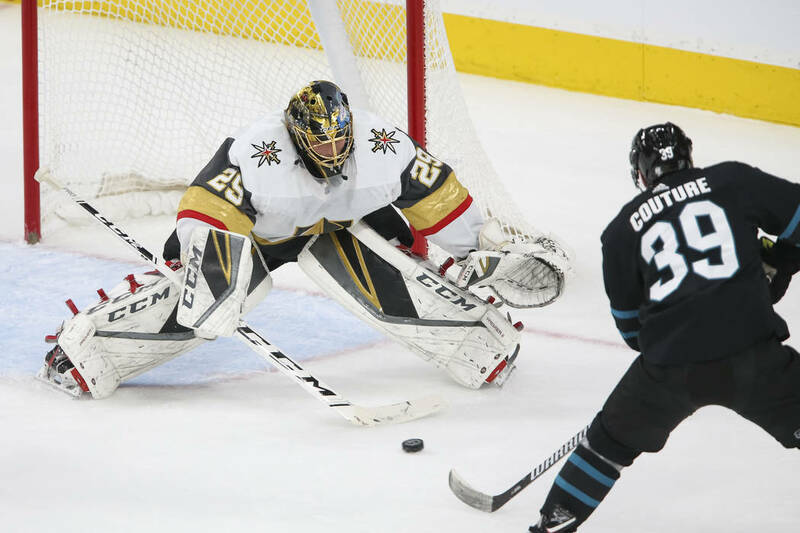 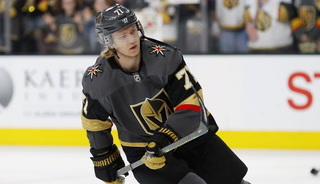 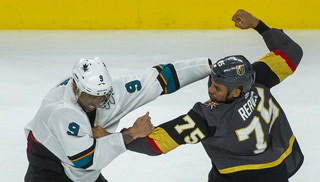 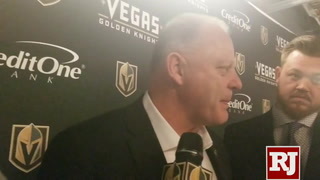 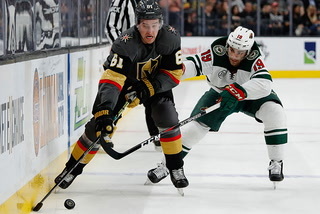 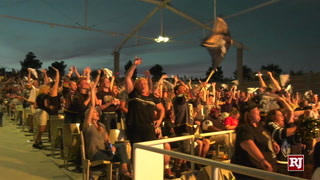 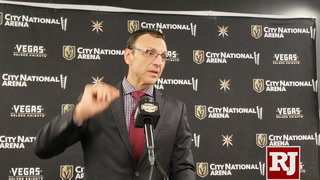 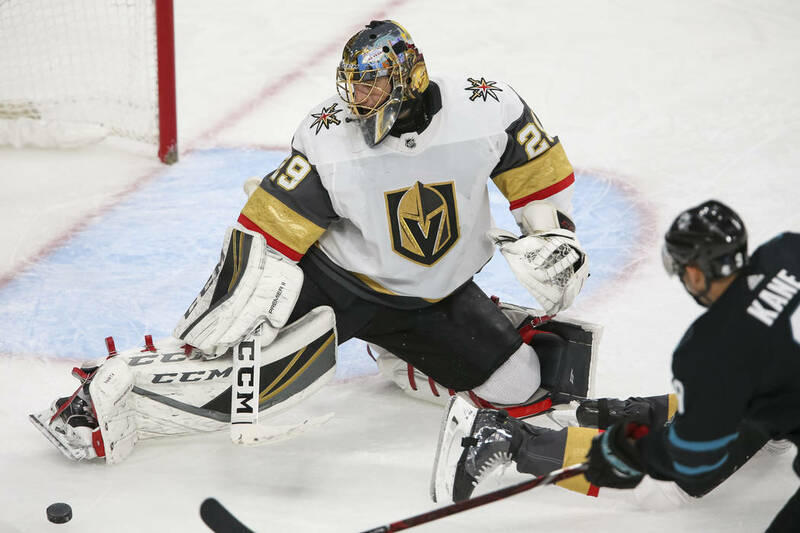 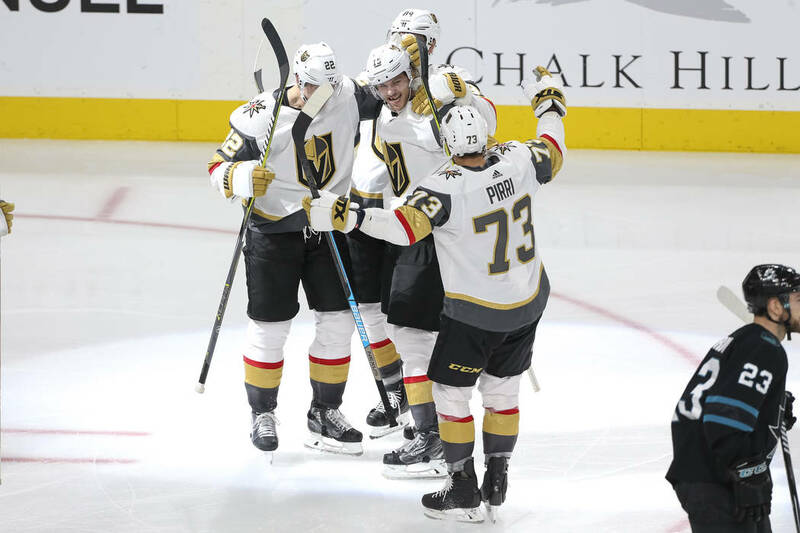 The latest installment of the budding rivalry came Thursday when the Knights were unable to hold a third-period lead and had their seven-game win streak come to a halt with a 3-2 loss before an announced crowd of 18,367 at T-Mobile Arena. 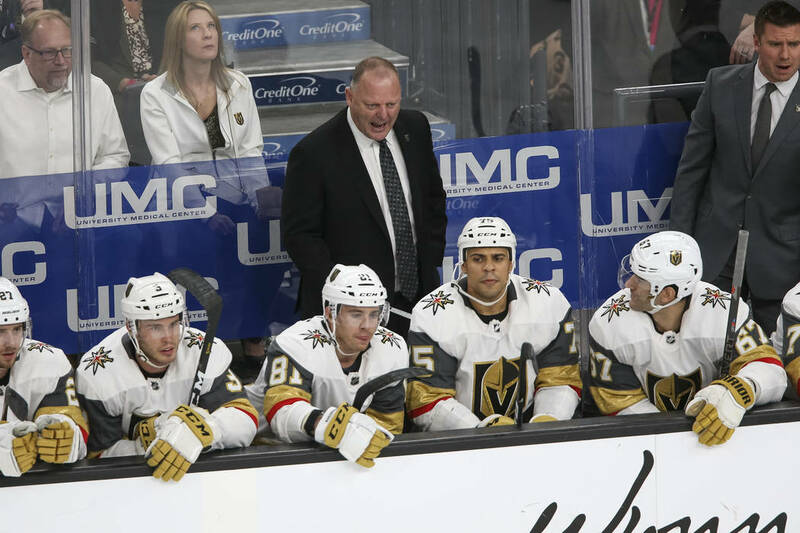 The Knights, who were without several regulars, saw their 10-game points streak end and also lost at home in regulation for the first time since Nov. 16. 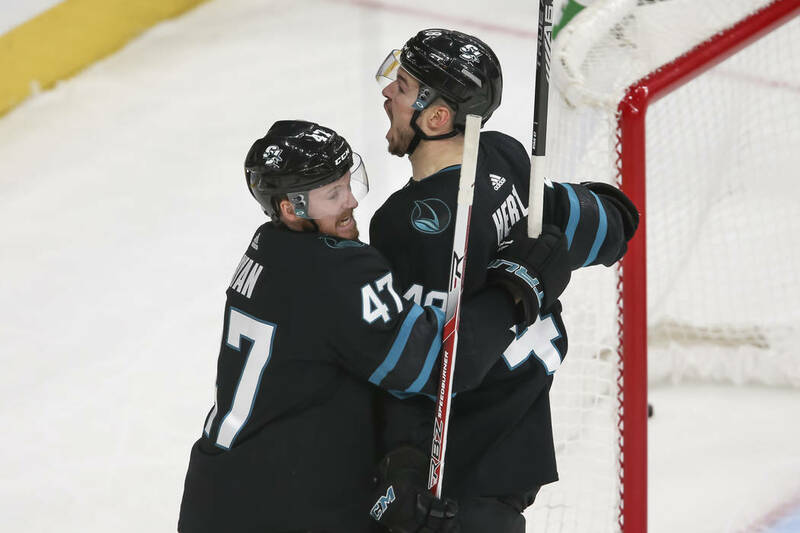 Joonas Donskoi and Melker Karlsson scored 39 seconds apart in the third period for San Jose, which leapfrogged the Knights into second place in the Pacific Division. 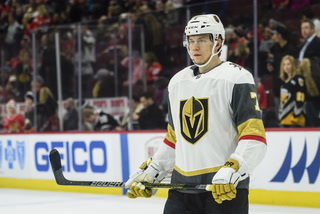 Tomas Nosek scored in the first period, and Merrill put the Knights ahead 2-1 at 2:16 of the third period. 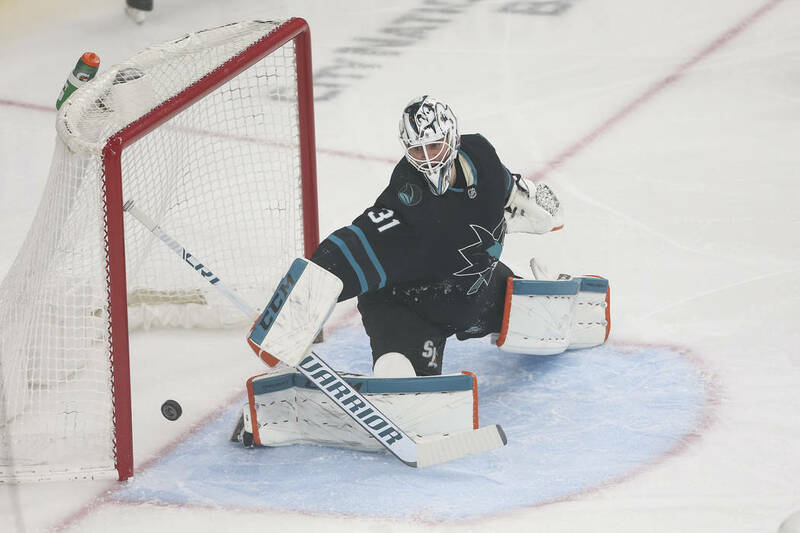 Brandon Pirri outhustled Kane to a loose puck in San Jose’s zone and found Merrill, who sent a wrist shot past Martin Jones’ glove for his first goal. 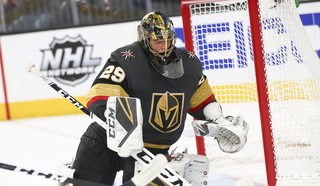 Merrill was the only player to appear for the Knights this season without scoring. 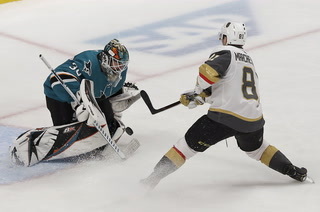 But the Sharks responded with two quick goals to earn their fifth consecutive victory. 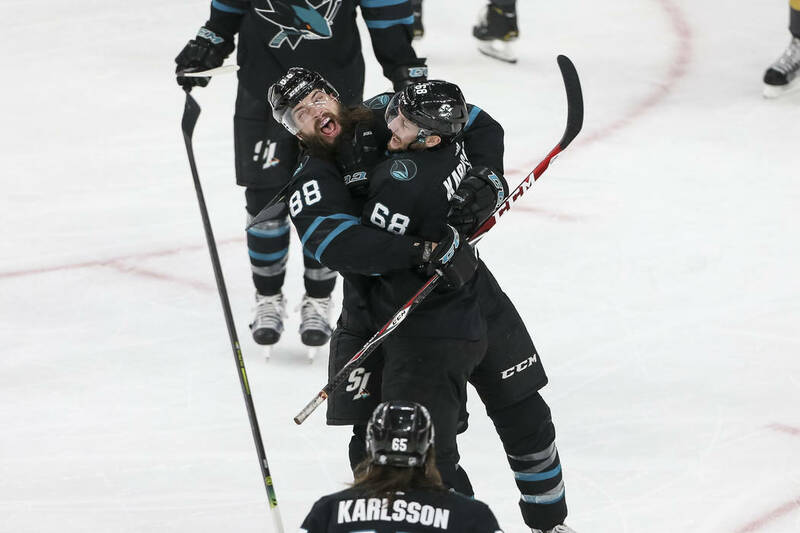 Karlsson knocked in a rebound at 7:24, and Donskoi deflected a shot for his 14th goal less than a minute later after a scramble in front. San Jose entered fourth in the league in goals per game and produced 32 goals in its past six games but couldn’t generate much offense against the Knights’ tight coverage in the opening 40 minutes. 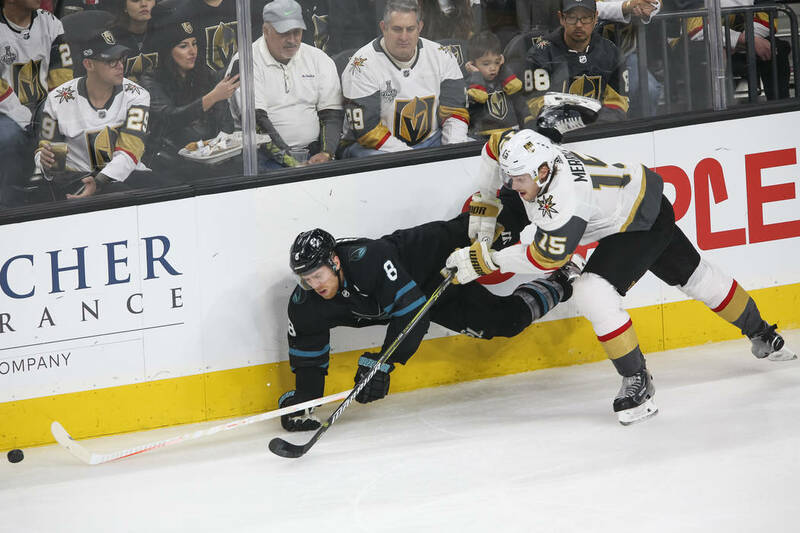 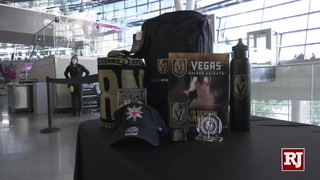 The Sharks had one shot on goal in the second period until Tomas Hertl made the Knights pay for a giveaway at the 14:05 mark. 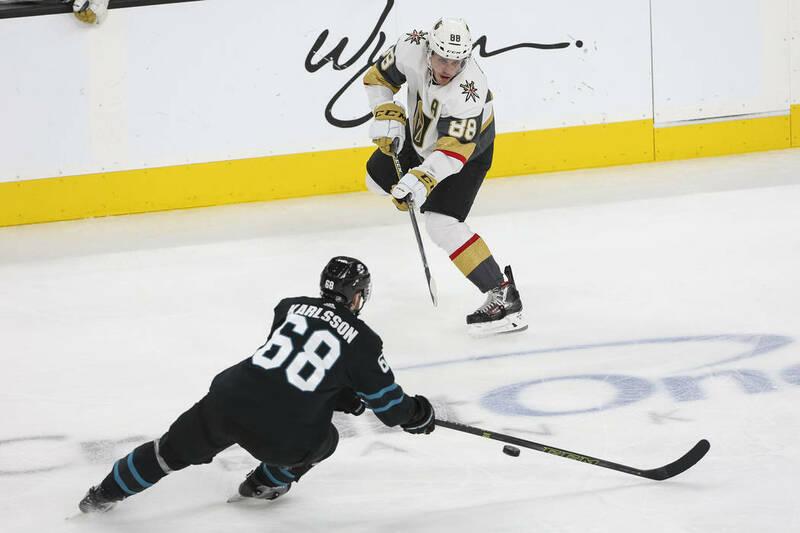 Hertl danced around Ryan Carpenter in the neutral zone and carried the puck across the blue line with speed before he whipped a shot past Fleury for his 16th goal. 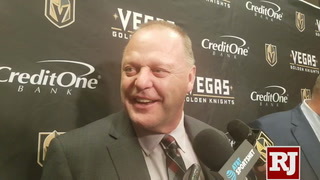 The Knights, wearing their white jerseys for a Frost the Fortress promotion, took the lead 94 seconds into the first period at the end of a strong shift by the revamped fourth line. 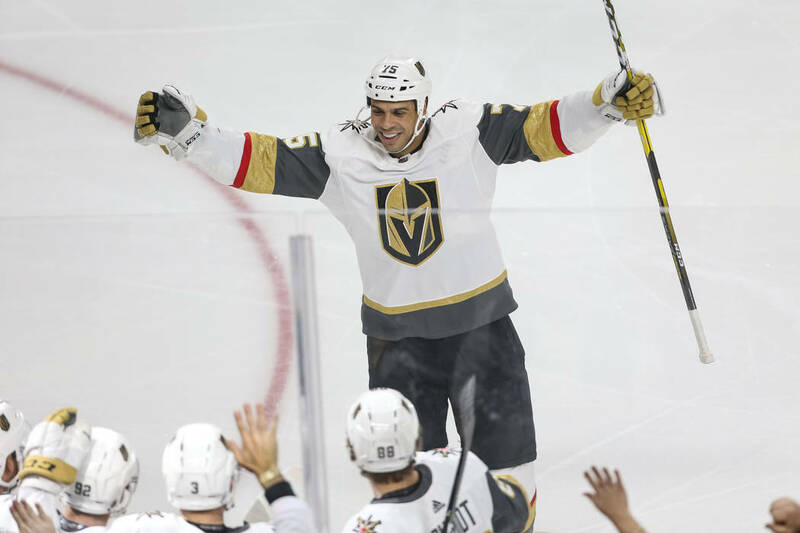 Ryan Reaves carried the puck into the zone 1-on-3 before he let a long shot go from the right wing that was turned away by Jones. 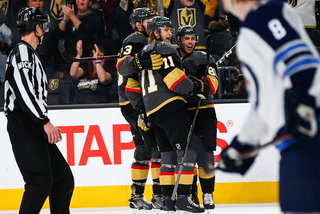 But Nosek was there for the long rebound and knocked in his sixth goal before Jones could recover in time. 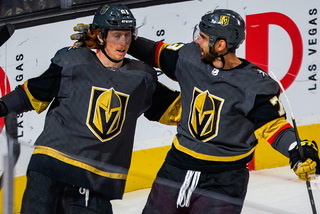 1 Streak busters. 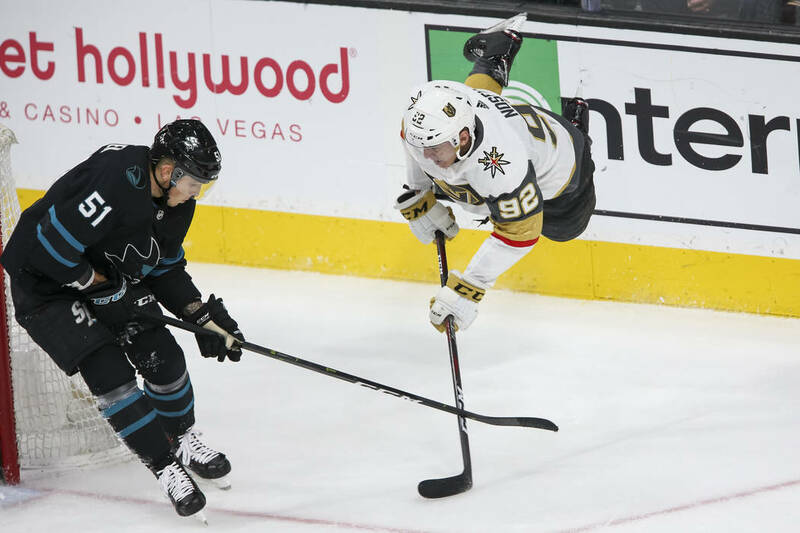 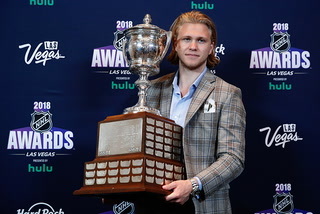 It’s not much of a consolation prize, but the Golden Knights ended San Jose defenseman Erik Karlsson’s run of 14 straight appearances with a point. 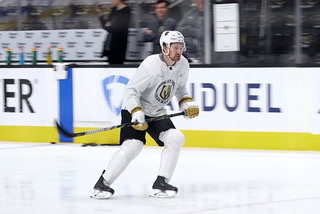 The All-Star was looking to become the the third blueliner in NHL history to post at least one assist in 15 or more consecutive appearances. 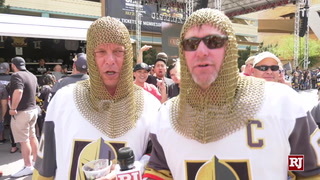 2 Kitchen sink. 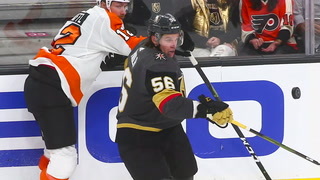 The Knights had a late power play after Brendan Dillon went to the box for slashing. 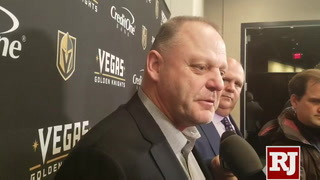 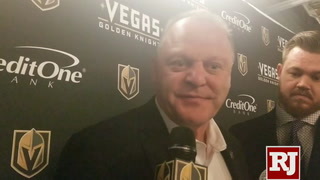 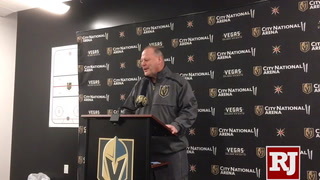 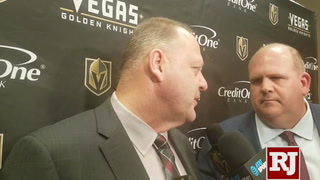 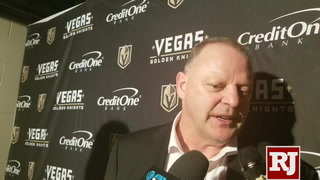 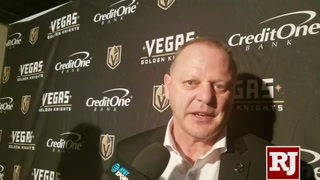 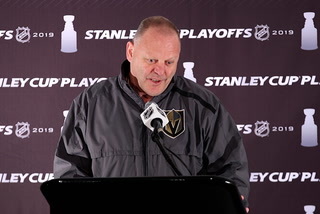 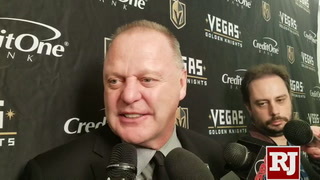 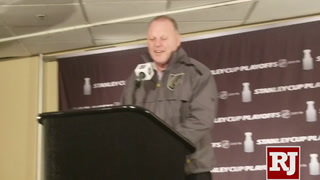 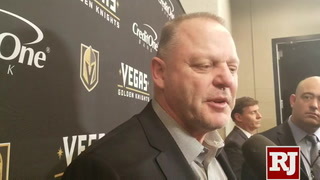 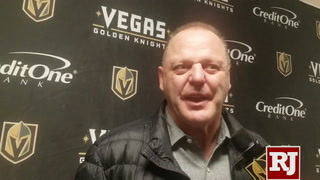 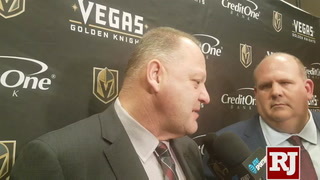 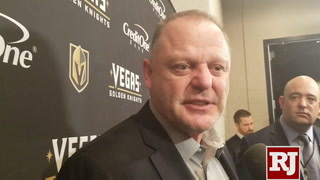 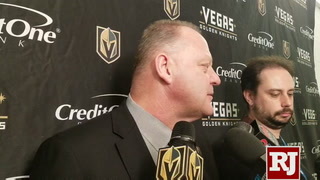 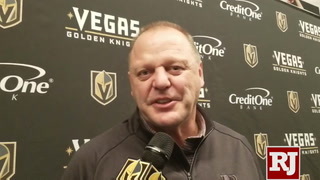 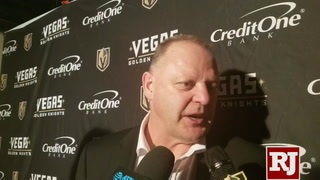 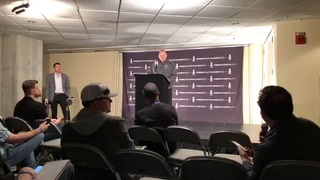 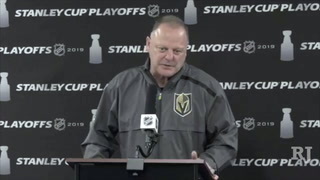 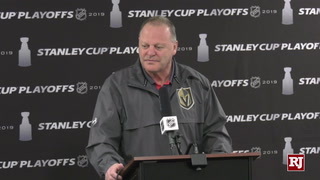 Coach Gerard Gallant pulled his goalie with a little less than three minutes left and even put six forwards on the ice trying to tie the game. 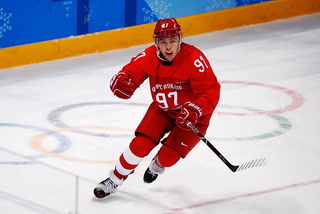 3 Magic number. 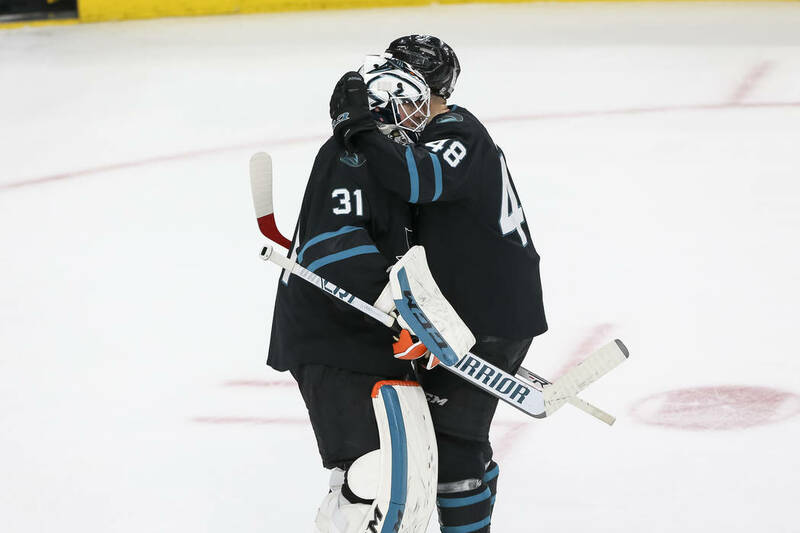 The Sharks reached a milestone, earning their 1,000th victory in franchise history. 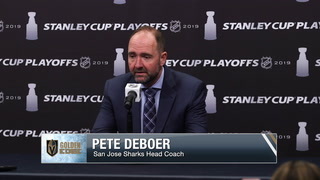 San Jose is 1,000-842-121-149 all-time and joined 11 other clubs in reaching 1,000 wins since the start of the 1991 season.